Giant: Pure Silk Shave Cream Just $0.79 Each Thru 2/21! We have a great deal to make savings at Giant. 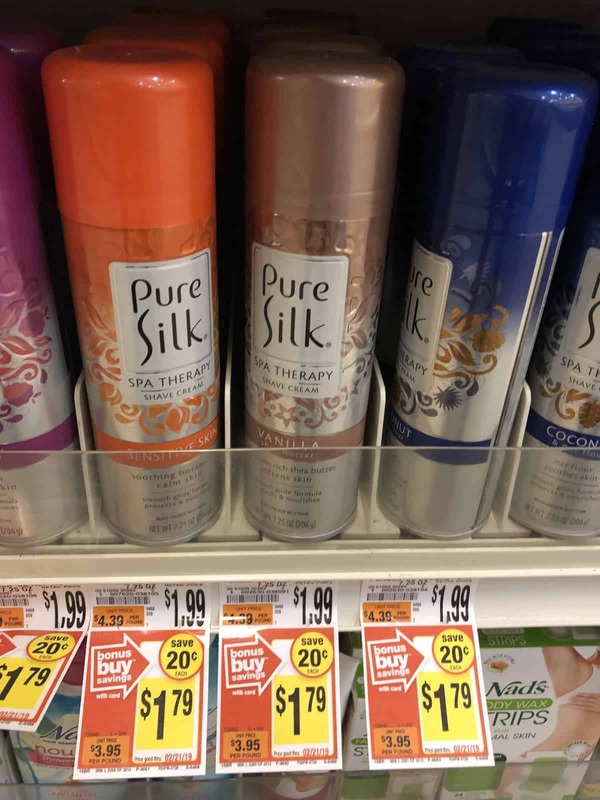 Pure Silk Shave Cream is priced at $1.79 each, plus we have a $0.50/1 Pure Silk Shave Cream coupon insert to use on this deal that will make the final price just $0.79 each!